Six local craft businesses have been named this years’ winners of the annual Business Gateway ‘best of the west’ competition. The winners successfully pitched for a chance to win a free trade stand within the craft tent at the festival, a popular pit stop for those keen to snap up unique designs. With more than five thousand visitors descending on Inveraray Castle for the festival, the six businesses have a fantastic opportunity to raise their profile and sell their products. Now in its fifth year, the Business Gateway Argyll and Bute competition asked business owners to share with the panel of judges why their venture is special and why their products would be a good fit for the festival. The successful businesses who will showcase their products in the Business Gateway sponsored craft tent this year are; Keltic Faerie, Janice Bracey Designs, Slate Island Seaweed, Alison McIntosh Prentice, Daisy Rocks Design and Cardross Crab Art. Alison McIntosh Prentice, based in Helensburgh, is an artist who cites the work of Charles Rennie Mackintosh and his wife Margaret as her biggest influence. Using her worldwide travels as inspiration for her art, Alison has a background in graphic and multimedia design but through the years painted as a hobby. 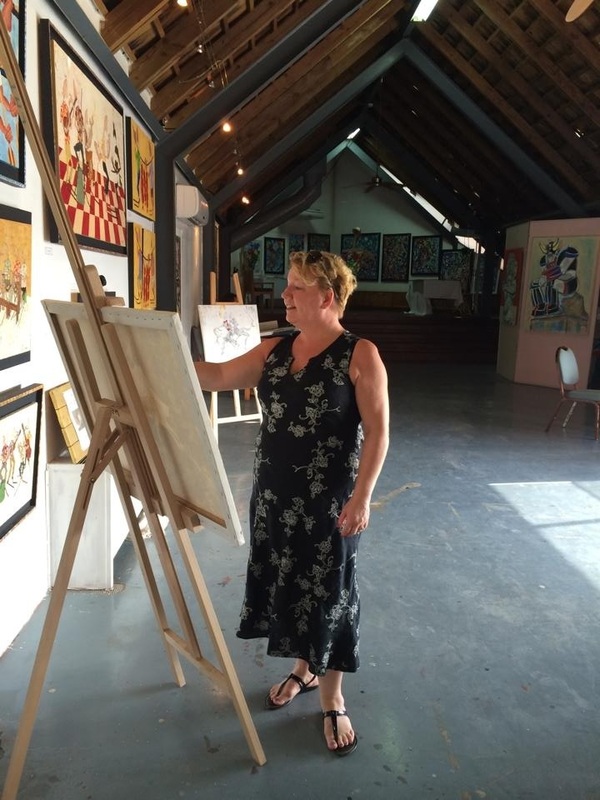 Mainly self-taught, Alison now focuses on her art full-time and has exhibited in Barcelona, Wales and Glasgow. Using colours and textures she admired while travelling, Alison’s paintings will be on display and available to buy at a stand within the craft tent at the Best of the West festival. Alison said: ‘I’ve been attracted to the work of Charles Rennie Mackintosh and his wife Margaret for over 30 years and have further investigated the techniques they used in Gesso artworks which now make up the majority of my work. ‘The stand at the Best of the West festival will allow me to showcase my art and hopefully sell to those attending. The judges included festival host, the Duchess of Argyll, Fergus Murray, Argyll and Bute council’s head of economic development and strategic transportation and councillor Bobby Good, depute policy lead for economic development. Councillor Good said: ‘It’s clear that we have some extremely talented and creative individuals in Argyll and Bute. ‘The standard of entries was truly exceptional and the judges had a very difficult time narrowing them down. ‘However, we got there in the end and six truly deserving winners were selected. ‘The Best of the West Festival is a fantastic opportunity for these businesses to promote themselves to a wider audience and really raise their profile. The ‘best of the west’ festival starts on Saturday, September 8 and Sunday 9 with live music on the evening of Friday, September 7. For more information on the Best of the West festival and to buy tickets, visit: www.bowfest.co.uk .